The Council wanted to upgrade the roof of the Chamber rooms but retain the green patina of the original copper-faced bitumen system. 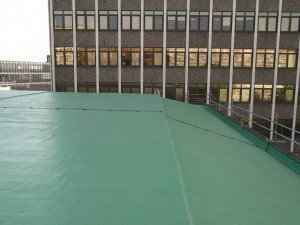 After test samples had been submitted, the decision was taken to use BBA-approved Polyshield 15 from Britannia Advanced Coating Systems. Britannia’s chemists created a special colour to match the original green. 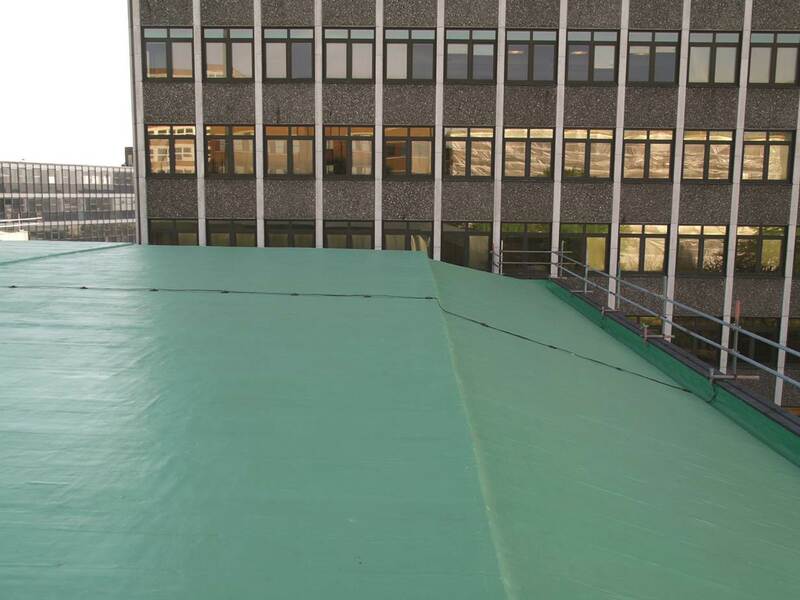 This, combined with the outstanding characteristics displayed by Polyshield 15 and the product’s 15-year guarantee, provided the Council with a long-lasting, visually pleasing solution to their upgrade requirements. 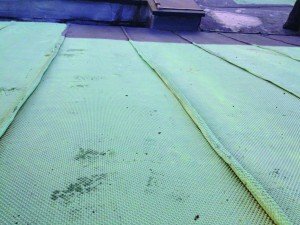 The Polyshield system kept costs down for both the contractor and client when compared with other roofing systems. Polyshield’s seamless membrane was applied with no disruption to the Council’s business, on time and within budget.